Social media offers opportunities to connect with our users. 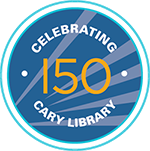 The Cary Memorial Library uses various forms of social media and encourages staff to engage in responsible and productive online conversations. These guidelines apply to the participation in Library-sponsored social media by the public and all employees of the Cary Memorial Library (CML). Social media includes any tool for online publication and commentary. Cary Library will respect copyright and public records laws. We will only use social media that is compliant with public records law. Library social media sites are subject to applicable public records laws and are retained as per the Town of Lexington’s Social Media Policies and Procedures. Any content maintained in Library social media is a public record, including all comments and messages exchanged with Cary Memorial Library. The Library is responsible for responding completely and accurately to any public records request for social media content. Content created for social media is the property of the Library. The Library’s intellectual property may be shared or promoted to other accounts from Library accounts by sharing or liking content as appropriate to each media platform.